Once in a while a brilliant omission turns something very familiar and ordinary into a work of disturbing genius. 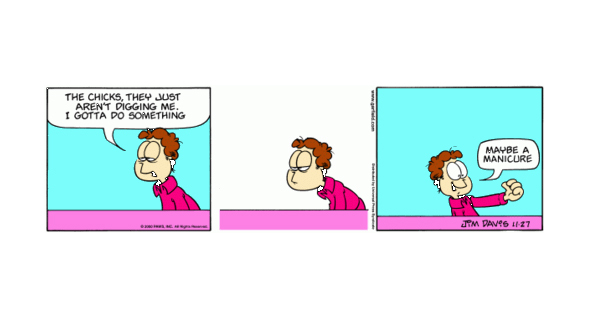 Garfield minus Garfield is one such brilliant work. The premise: what happens when you take the predictably mediocre yet lovable Garfield comic strip and remove its animal stars? You’re left with Jon and his lonely, bipolar insanity. Ranging from hilariously bizarre to mildly disturbing, this fractured look into the world of Garfield has definitely made me look at this iconic comic strip in a whole new light. The best part, it’s all with the permission and endorsement of the strip’s author, Jim Davis.